Hello ... Hello ... my old friends ... It's great to see you once again! If you tuned into KJS Suggests over on Hamilton Radio today or in previous weeks, you may have heard a couple of songs by a band named WelshMansHill entitled "When It Rains" and "Nobody Came" - from their forthcoming album "Poparama" - on which there is an amazing, eclectic and great set of songs that I've been listening to recently - and firmly believe that all ELO and Beatles fans will enjoy. WelshMansHill [WMH] are Phil Hatton, Steve Turner and Phil Ridden. I shall be reviewing their debut CD and hopefully interviewing all or some of WMH in the not-too-distant future. "Musically, these are exciting times. It's the distinctive artists that are connecting and selling. Acts that have made unique sounding records do not fit the mainstream, but it is this very uniqueness that connects with an audience who want something original, honest and fresh. That's where the unique sound of WMH comes to the fore. WMH have an established song writing, producing and performing relationship dating back many years, and have followed various musical paths around the world. WMH are Phil Hatton, Steve Turner and Phil Ridden. Tom Petty, Jeff Lynne, George Harrison, Roy Orbison, Del Shannon - Phil has sung backing vocals with all these artists. As PA to Jeff for over 20 years, he worked on George Harrison's "Cloud Nine"; Paul McCartney's "Flaming Pie" and The Traveling Wilburys' "Volume 1" and "Volume 3" to name but a few. Steve played guitar for Brian Connolly's Sweet on many world tours including Scandinavia, Australia, Dubai and Western Europe. He recorded albums with 'Blackfoot Sue' and 'Outside Edge' and has material currently released worldwide. Phil played drums with Steve in Brian Connolly's Sweet for many years, touring extensively. He played with the renowned 'Ziggy Stardust' tribute "Gene Jeanie" and various other bands such as 'Ghost'. He has appeared on live TV, the Gods of AOR and many festivals, including 'Rock on the Rock' in Gibraltar. He has CD releases worldwide including Japan and the USA. From the concise electric pop of "Nobody Came" to the sublime solemnity of "Sunshine In The Morning", WMH's POPARAMA has something for everyone - a body of work that will leave the listener somewhere other than it found them. Natural organic instrumentation blends with dance friendly themes, creating the vibrant and individual sound of WMH. The eclectic mix of influences significantly compliments WMH's worldview." 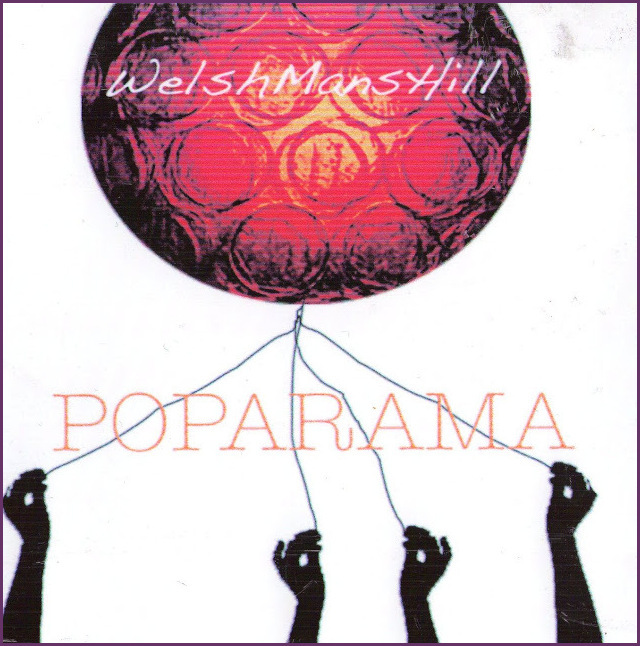 "Poparama" will be officially released soon and a new web site for WMH is under construction where you'll be able to listen to: "In Tomorrow's World"; "Alaska"; "Not Really A ..."; "Sunset In The Morning"; "Postmodernism Bluesman"; "Nobody Came"; "Catch A Train"; "When It Rains"; Wendy's Farm"; "Endorphic" and "Getcha" in the very near future. Months later and I still love this band!! !